The following post is from John Sprankling (Pacific-McGeorge) and is sponsored by West Academic. Pictures are powerful tools. As Ivan Turgenev observed in his 1862 novel Fathers and Sons, “[a] picture shows me at a glance what it takes dozens of pages of a book to expound.” Learning theorists have long understood the pedagogical value of images. Thus, Neil Fleming’s Visual Auditory Kinesthetic learning style model posits that all students benefit from the use of pictures, either because they are predominantly visual learners or because visual learning supplements their dominant learning styles. When I began teaching property over two decades ago, I was drawn to the Dukeminier & Krier casebook, which included black-and-white photos and other images that related to some of the cases. Over time, I concluded that this approach was too narrow. I wanted high-quality photos and other images for every case, in color, which students could access easily, and which I could display in class. But such photos did not exist. My wife and I drove across the country twice, tracking down the original sites of cases included in the book and taking photos of these locations. Finding the actual site of a case often involved detective work. Starting with a vague sense about the location, we would explore the region, talk to local residents, and slowly get closer, often with the help of friends or relatives of the original parties. The grandsons of Oscar Boomer, for example, directed us to the site of the junkyard in Boomer v. Atlantic Cement; the son-in-law of the plaintiffs in Brown v. Lober told us how to find the farm land at issue in the case; and a Greek Orthodox priest helped us explore the disputed tract in Van Valkenburgh v. Lutz. We eventually took more than 500 color photos of case sites. They included apartment buildings, beaches, bridges, businesses, churches, condominiums, crops, driveways, factories, farms, fields, a fire station, forests, houses, lakes, oil wells, streets, vacant lots, and other properties. In the process, we sometimes battled the elements, dodging heavy rain and tornado threats, and not-so-patiently waiting for suitable photography weather. 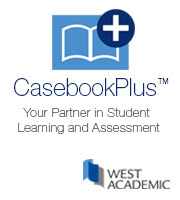 Ray and I then selected the best photos to illustrate the cases, and developed charts, diagrams, maps, and other visual images to facilitate student learning, all of which went into the electronic version of the casebook. For the past seven years, I have been using enlargements of these photos in the classroom. I typically show one to three photos for each case via PowerPoint, usually leaving a photo on display during the entire classroom discussion. In anonymous surveys, my students overwhelmingly report that these photos help them to: (a) understand the cases; (b) remember the cases; and (c) keep their attention focused during class. Property is a visual subject. A photo is sometimes useful in helping students understand the context in which the case arises. Ark Land Co. v. Harper, for example, is a dispute between a West Virginia coal company and an extended family about how to partition the family’s ancestral land. The photo of the family home, overshadowed by a tall hill of coal slag in the background, illustrates the stakes of the dispute in a manner that words cannot. Similarly, photos of the Colonial-style homes that surround the site of the proposed “pyramid house” in Stoyanoff v. Berkeley instantly explain the neighborhood opposition to the project. Photos help students remember content. In the controversial case of Kelo v. City of New London, the Supreme Court held that taking owner-occupied homes for the purpose of economic development was a “public use” within the meaning of the Fifth Amendment; but after the homes were taken, the project was abandoned. The photo of Kelo’s home site―now merely a basement filled with debris―serves to embed the case in student memories. Another example is Deep Water Brewing LLC v. Fairway Resources Ltd., where the construction of new homes in violation of a height restriction partly blocked the lake view from plaintiff’s restaurant; photos of the blocked view make the case memorable. Photos also focus student attention. An illustration is Eyerman v. Mercantile Trust Co., where the testatrix directed her executor to destroy a valuable home, but the neighbors objected. I display a photo of the house through the discussion, which serves as a constant reminder of the issue: should the dead control the rights of the living? In a similar manner, the photo of the dilapidated house at issue in Wade v. Jobe highlights the question of whether landlords should be obligated to maintain residential rental property in habitable condition. More broadly, using the photos of actual case sites makes the class more interesting for students. It brings life to the case materials, adding authenticity and connecting students to what attorneys do in the real world. In sum, my students uniformly report that these photos improve the overall quality of the class.